I was reading somewhere (not sure if it was here?) that the Soviets made their 7.62x39 barrels using the same tooling as they made their Mosin / PK barrels with - with 54r needing a fast twist rate for the much longer and heavier projectiles it's lobbing. So AK's got the same 1 in 9.something and this legacy has carried on for no apparent reason in modern guns. It's overly fast for x39's lightweight bullets which can be quite detrimental to accuracy. 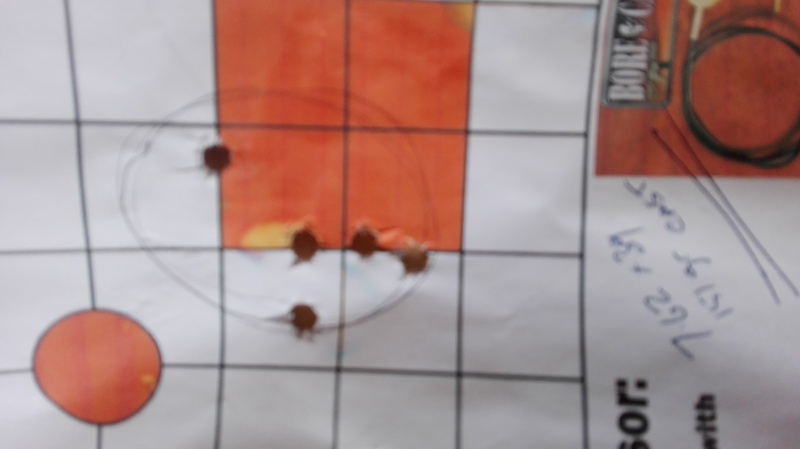 So yeah, 150's should shoot better, although they're a bit pedestrian. 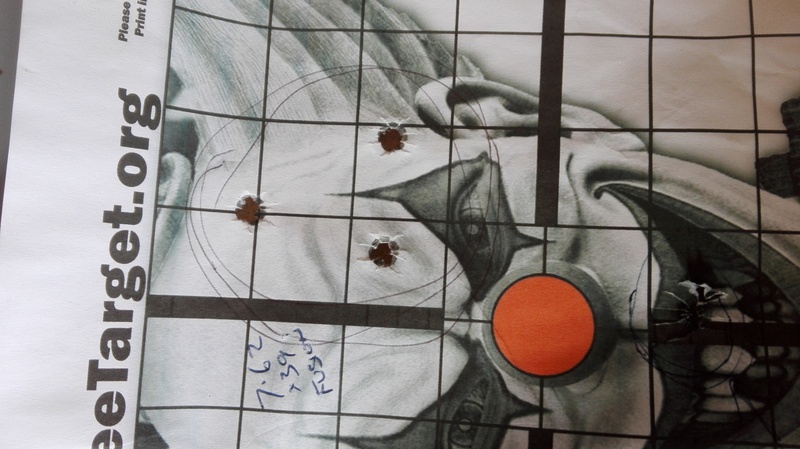 Worth stressing that a 170 grains heavier boolit does not necessarily equate to bigger recoil. Cast non-jacketed bullets require a third less powder charge for same velocity, and the velocity run at is lower in any case (because of limitations of the strength of lead vs rifling grooves). As shooternz points out, cast HP boolits are good (better) at expanding, even at quite slowish velocities. As an aside (I initially misread the post, thinking someone was considering heavy boolits in an 7.62 Soviet rifle). Heavy boolits in a 7.62x39 rifle. When the 7.62x39 round was adopted by the Soviets in the 1940s, they went for a 1:9.45" twist which was copied straight from the 7.62x54R Mosin rifle. Same rifling machines making different / same-same barrels. This fast twist was originally adopted to stabilise heavy 210 grain round nosed projectiles, but reincarnated in the x39s spinning 126 grain bullets it is just too fast - actually deleterious to accuracy, so some modern manufacturers offer 7.62x39's with slower twist rifling for that reason. The traditional 7.62x39 barrel has an inherited/throwback ability to stabilise heavy, long slugs with a fast twist it has no need for with standard milspec ammo (except perhaps for longer tracer bullets). A heavier bullet will do just fine in the standard 7.62x39 fast twist barrel, in fact it will feel strangely and unexpectely at home with a just fine twist rate. from memory I get about 26grns of 2206 and its full...would be plurry near impossible to overload it with that powder...I use the 151 grn casts in mine with good results terminally...dont ask for speed or how good it will group cause I dont know or really care....subsonic is sub 50 yard,supersonic is sub 150 so neither matter to me. from the little Ive done on paper it will hold under 3" at hundy with 4x scope all day with any load tried....more than enough for this cartridges power/range. 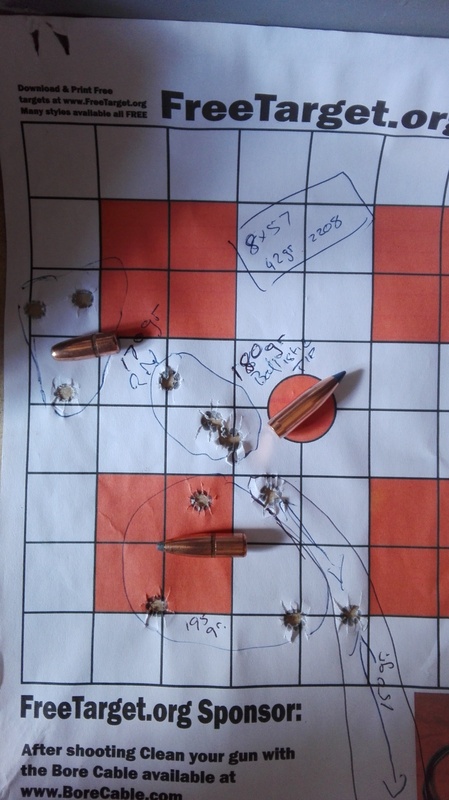 202 LYM LRN GC 311299 (205gr), seated 0.310" deep for an OAL of 2.363", out of an imaginary super long throated 24" barrel... 33gr of H414 for 13.7% compression, 50kpsi and a whopping 2118fps. Basically impossible to get yourself into trouble without needing to hang off of the press to seat the bullet. Expect fireballs.